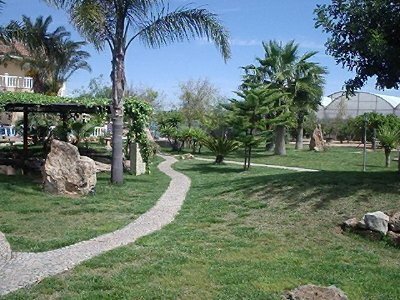 Established since 2004, Catz n Dogz is situated near to San Javier in the countryside but very handy for San Javier airport. 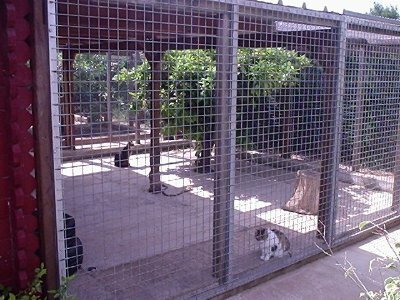 The Kennels can take up to 15 dogs and the Cattery, which is separated from the Kennels by beautiful gardens, can house 40 to 45 cats. As they are situated in the grounds of our own home, we are on site 24 hours a day. In the Kennels, we have 11 individual pens including 2 family sized pens. 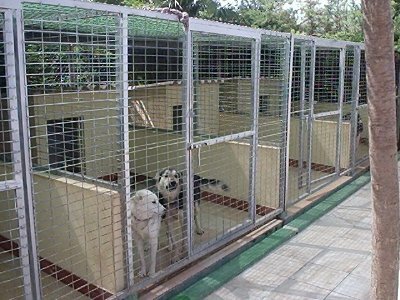 Each has their own brick built kennel, providing shelter from the elements. 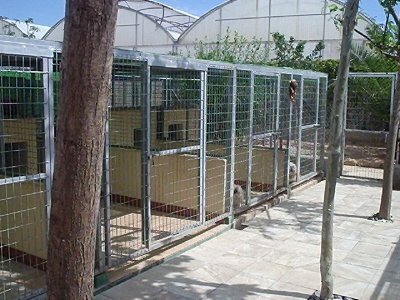 The dogs are allowed out into our large exercise area, amongst the orange trees, for regular exercise and toilet breaks. The Cattery is housed in 2 Swedish style wooden chalets with individual comfortable pens and a large indoor and outdoor communal area. The cats have their own armchairs to relax on as well as scratching posts and a tree for climbing and playing on in the outside area. They are air-conditioned and are therefore cool in the summer and lovely and warm in the winter. With music playing to them during the day what more could a cat need? We have lots of experience in dealing with animals needing special attention, for example, diabetic or epileptic animals and those recuperating from surgery or trauma and they are often taken into the house for that extra special 24 hour care. If your pet needs grooming then Catz n Dogz have a well equipped grooming parlour including a special high velocity dryer that in addition to drying, cleans out coats thoroughly and yet gently. Therefore, not just breeds that require special cuts are catered for but in addition, anyone who has a dog who sheds hair can benefit greatly from reduced hair loss by having regular baths and being dried with this machine at Catz n Dogz. Our dog groomer is fully qualified, having attended the best grooming school in Spain, which is situated in Barcelona. Why not combine a grooming session with your dog’s stay? We are the Number One Kennels and Cattery within the South Costa Blanca and Murcia areas of Spain.